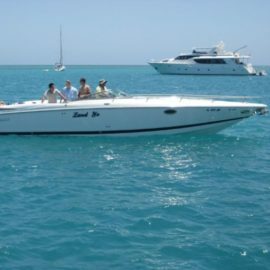 Beautiful 2000 Cobalt 293 fresh water only cruiser with preferred MerCruiser 350 Mag engines (300 hp) and Bravo III drives. Trailer kept! 1999 Cobalt 293 in excellent condition, twin Volvo 5.7 engines and drives, clean interior fresh bottom paint and canvas in good condition.